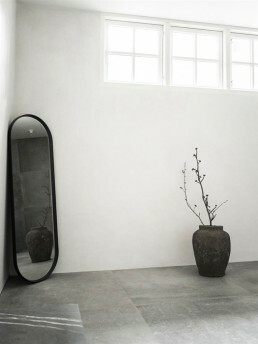 The Norm Oval Mirror is designed by Norm Architects for Menu. 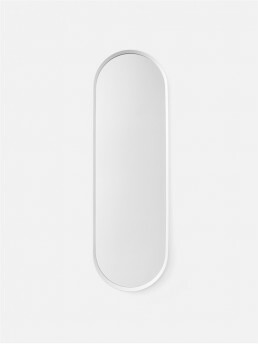 Inspired by vintage dressing room mirrors, the Norm Oval Mirror is a simple yet elegant mirror. 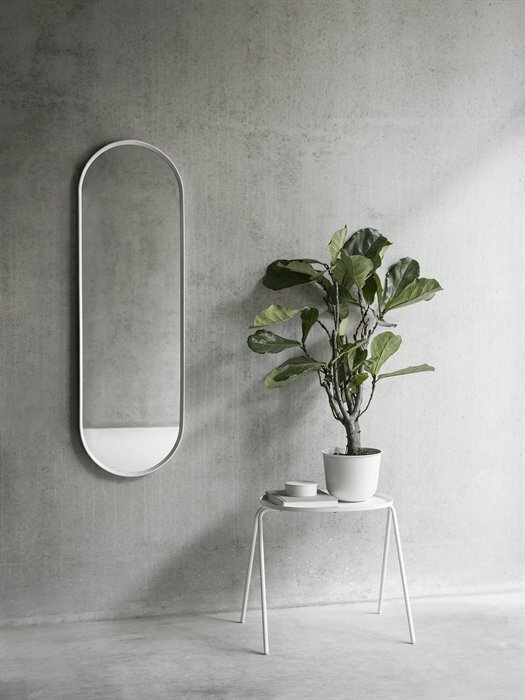 Featuring a powder-coated metal frame with a soft oval silhouette, this minimalist mirror looks beautiful in the bedroom, hallway, or bathroom. 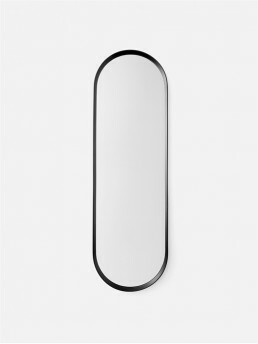 The mirror can be hung up on the wall both horizontally and vertically. 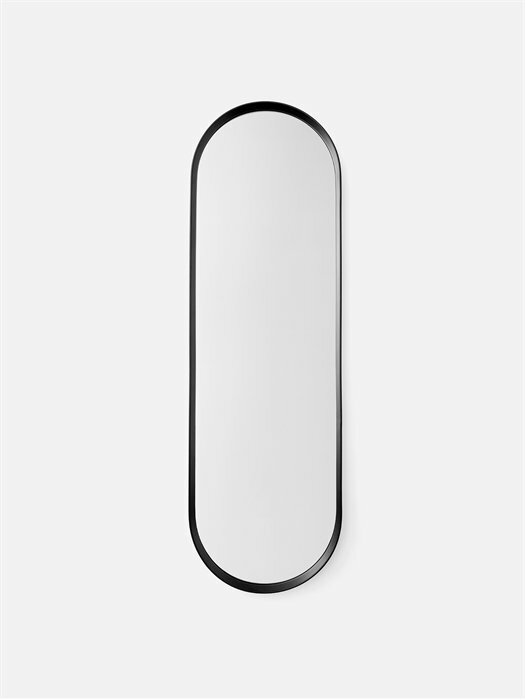 Vertically, the mirror is perfect for the entrance and the dressing room to see your outfit from the top to bottom. 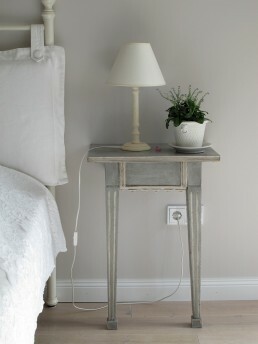 Horizontally, it is ideal for the bathroom. 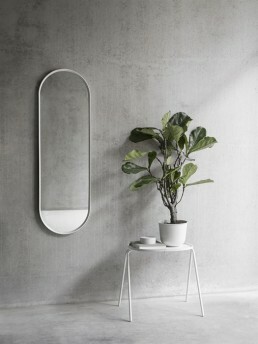 Norm Architects was founded in 2008 by Danish designers Jonas Bjerre-Poulsen and Kasper Ronn, both graduate of the Royal Danish Academy of the Arts in Copenhagen. Based in the heart of Copenhagen, Norm Architects has worked domestically as well as internationally with everything from residential architecture to industrial design and commercial interiors. 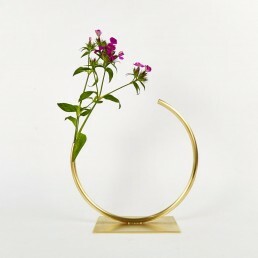 Add to that an affinity for graphic design, integrating photography, and art directing into their work. The name “Norm” signifies the importance of drawing inspiration from norms and traditions within the fields of architecture and aesthetics. 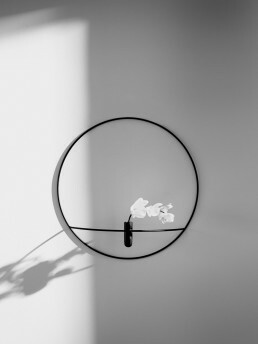 Norm brings function and beauty together, always adding a surprising, little detail in pursuit of timelessness and soul. 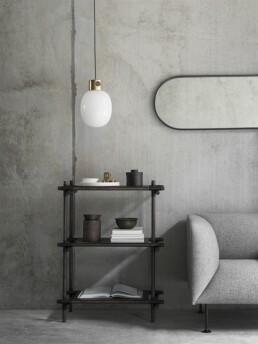 According to Kasper & Jonas, good design meets real needs and satisfies all senses and this reflects from their work as architects as well as interior designers.